Role of the nervous system in cancer initiation and progression. Cross-talk between nerves and cancer cells, and its impact on tumour growth and metastasis. Molecular mediators and growth factors produced by the nervous system to activate or inhibit cancer. To put it provocatively, I believe that knowledge is somehow boring. What is really interesting is what we don't know and don't understand. That is basically why I got into research. My interest is always towards the hidden and mysterious side. Despite considerable progress, cancer is still a mysterious disease and in particular the impact of the brain, mind and nervous system in cancer initiation and progression is largely unknown. To contribute to a better understanding of the mind-body connection and in particular its influence on cancer initiation and progression. The ultimate goal is to use this innovative knowledge to develop new strategies to prevent cancer occurrence and to cure it more naturally and with no side effects. Manipulate the nerve-cancer cell cross-talk and use it to develop new strategies to prevent and treat cancer. Professor Hubert Hondermarck obtained a PhD in neurobiochemistry at the University of Lille in France and was a post-doctoral researcher at the University of California in Irvine where he investigated the molecular mechanisms of neuronal cell differentiation. He founded a research unit at the French Institute of Health and Medical Research (U908 INSERM, growth factor signaling and functional proteomics in breast cancer) and directed it for 10 years. 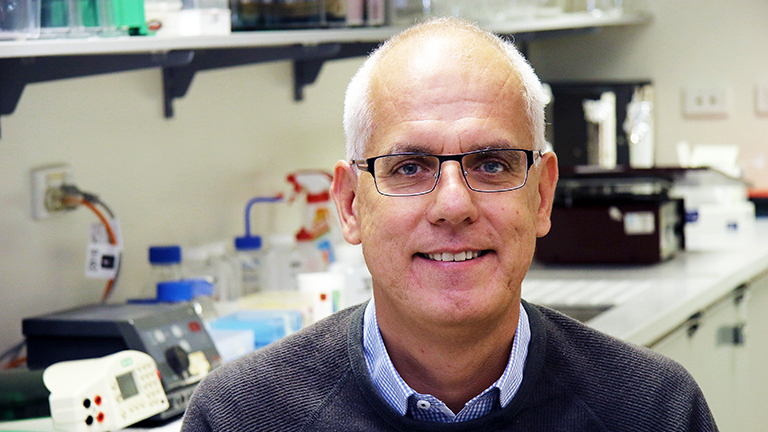 In 2011, he moved to the University of Newcastle to start a new program on the function of neurotrophic growth factors (molecules that increase neuron growth) and the impact of the nervous system in cancer initiation and progression. Prof Hubert Hondermarck has published more than 100 scientific publications and books and has presented his research at many international conferences. He is a member of the Board of Directors of the Human Proteome Organisation (HUPO) and a member of the editorial board of several scientific journals. Methodologies to study neuronal growth and differentiation.